The latest version of ConvHex is here as version 1.30! For those who are unaware, this niffty little program converts binaries in the Intel HEX format (usually output by assemblers or the ZDS C compiler) into a format usable on the TI84+CE/TI83PCE calculator. Please post any bug reports or comments about the program here. Thanks! 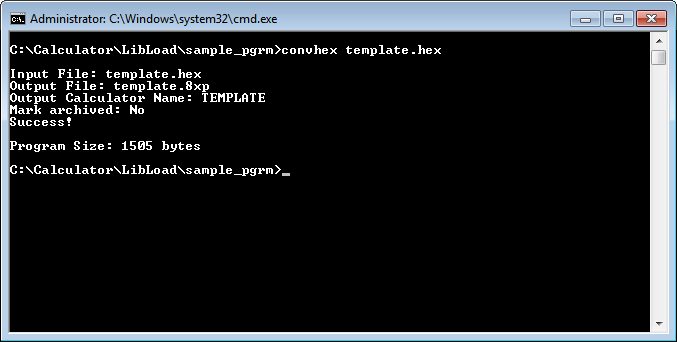 To view options, type convhex without any arguments. Does this work on the ti-84cse? Please read the above topic. Thank you. The CSE is no longer a supported platform, all OS instances and advertising of it have been removed from TI's website. Please read the above topic. Thank you. [quote="MateoConLechuga"[quote=The CSE is no longer a supported platform, all OS instances and advertising of it have been removed from TI's website. So wait does this mean the ti-84 cse has been basically discontinued as a product? In TI's veiw, pretty much. For developers and users, probably not. Nice work on this project, Mateo! Along with the other pieces that make up the C SDK, it certainly will help TI-84+CE programmers be more productive. Thank you for this improvement Mateo. © Copyright 2000-2019 Cemetech & Christopher Mitchell :: Page Execution Time: 0.124253 seconds.